Lately, I’ve been getting a lot of questions from my couples about where to have their engagement session. So this week’s Bridal Banter is dedicated to those who are starting the early process of planning their engagement session and figuring out where to go. First off, I highly, highly, highly, recommend NOT having your engagement session at the same place as your wedding venue. Why? Because then you’ll have your engagement photos and your wedding photos looking the same. If that’s what you want, then you can stop reading now, but as a wedding photographer, it’s more fun to have a wider variety of photos and exploring a new area together with your couple. 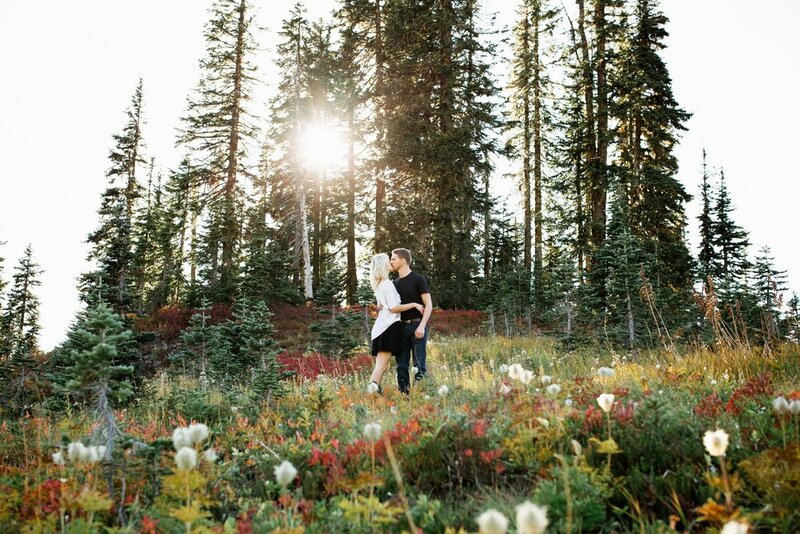 When choosing your location for your engagement session, think about your relationship with your fiancé. Are you guys adventurers? Are you downtown folk? Anywhere that really shows who you are and your relationship together is the best choice. Similar to what I wrote about in “Thinking of Renewing your Vows” Banter Post, you really just don’t want to overthink it and pick a place that puts you in your element. If you love grabbing coffee downtown and hanging out in gorgeous alleys, then by all means, choose great spots near your favorite coffee shop- or even IN the coffee shop. If you love adventure and exploring new trails, then definitely find a good trail near you.